This LED desk light is packed with features to help illuminate your work space. 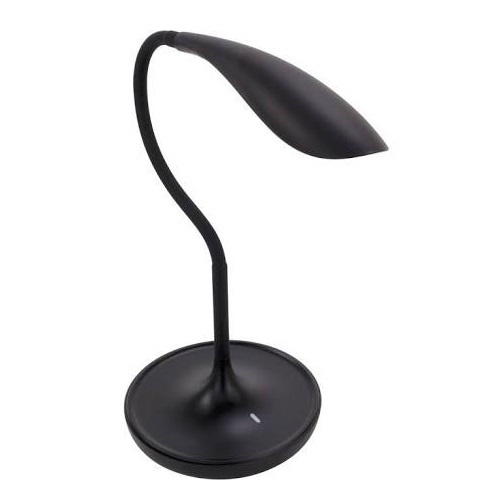 Easy to use, clean crisp light and a USB to charge any of your devices, it is what your work space needs. Thirty SMD LEDs create a bright white light in a concentrated area. The flexible silicon neck is durable with a tremendous pivot range of 360 degrees. Light is activated by an optical touch dimmable switch. The base is solid and houses a USB charging port.